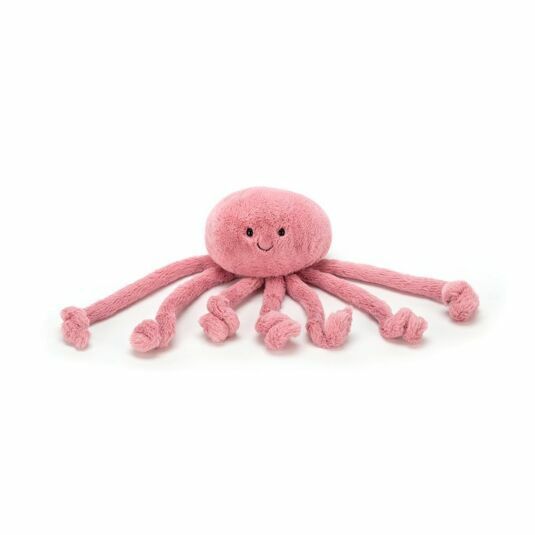 Say Ello’ to Ellie, the softest, squishiest Jellyfish in all of the sea and certainly not to be feared! 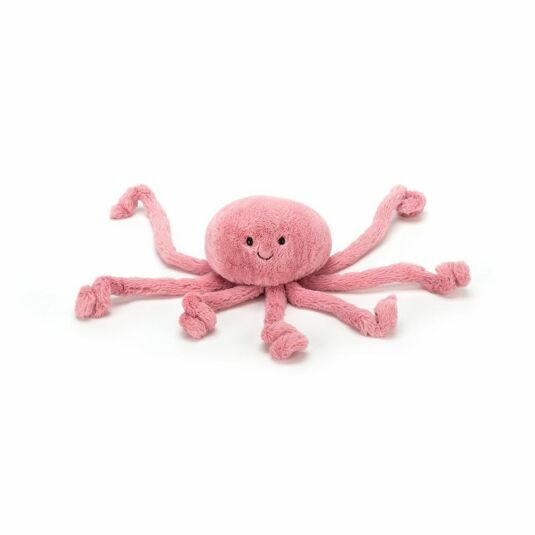 She zooms about the ocean, with her long tentacles flying behind her in the most graceful of ways. 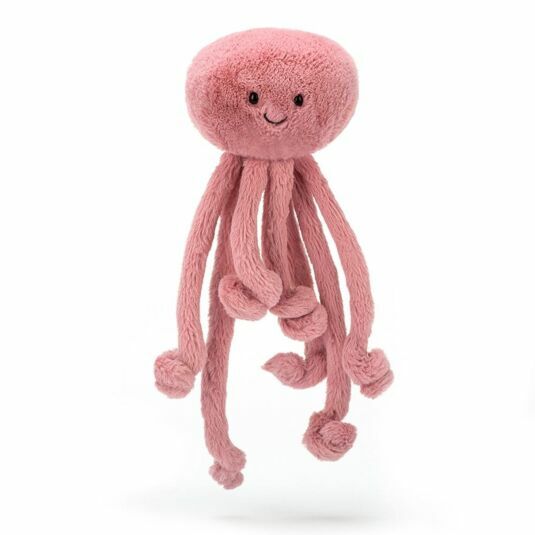 Her super soft fur is raspberry coloured and her squidgy head and squiggly legs are perfect for cuddling up to after a long day of adventures! Her cheerful smile and bright eyes will keep watch in case any mischief should unfold whilst youre dreaming of adventures at sea!